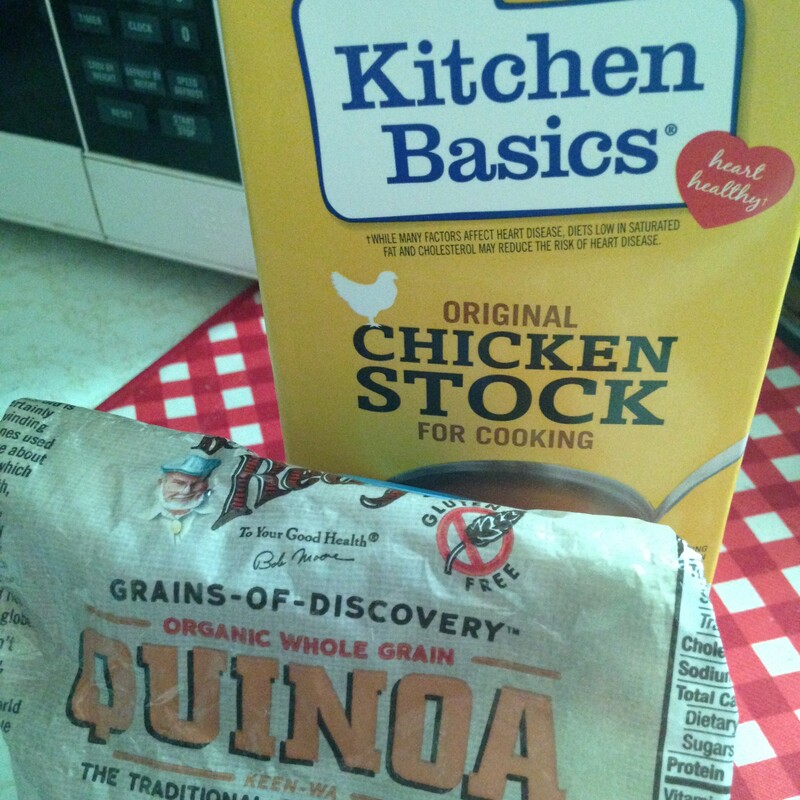 Quinoa is a new healthy foods staple for this southern girl’s kitchen. It looks like “Ke-no-a”, right? See, you thought so, too! But it’s “Keen-wah” I found out. Now I feel better about using the staple because in my neck-of-the-woods stomping grounds in Southeast Texas, “keen” means you’ve got good sense. A person who eats quinoa does have good sense I think. First of all, it doesn’t take long to cook it. Second, one cup uncooked quinoa turns into about four cups cooked. Mixed with a medley of vegetables and lite soy sauce, it makes a filling dinner, and there’s plenty left over for lunches. Yesterday evening I was craving vegetables. I like to cook them on a griddle. Usually they dwindle down to a measly portion so I decided that would not be the case for this dinner. Opening the refrigerator door, I grabbed every vegetable I could find. 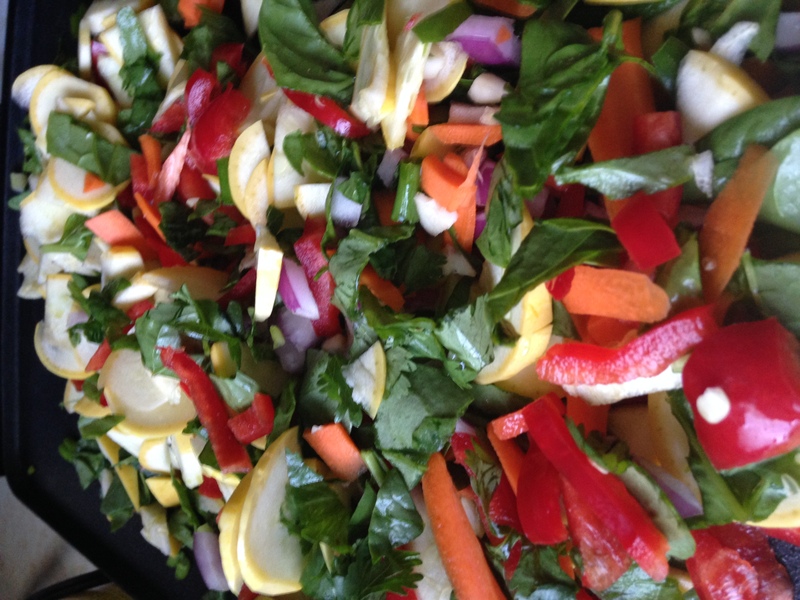 Yellow summer squash, red bell pepper, red onion, green onion, garlic cloves, cilantro, spinach, a carrot and Serrano pepper. 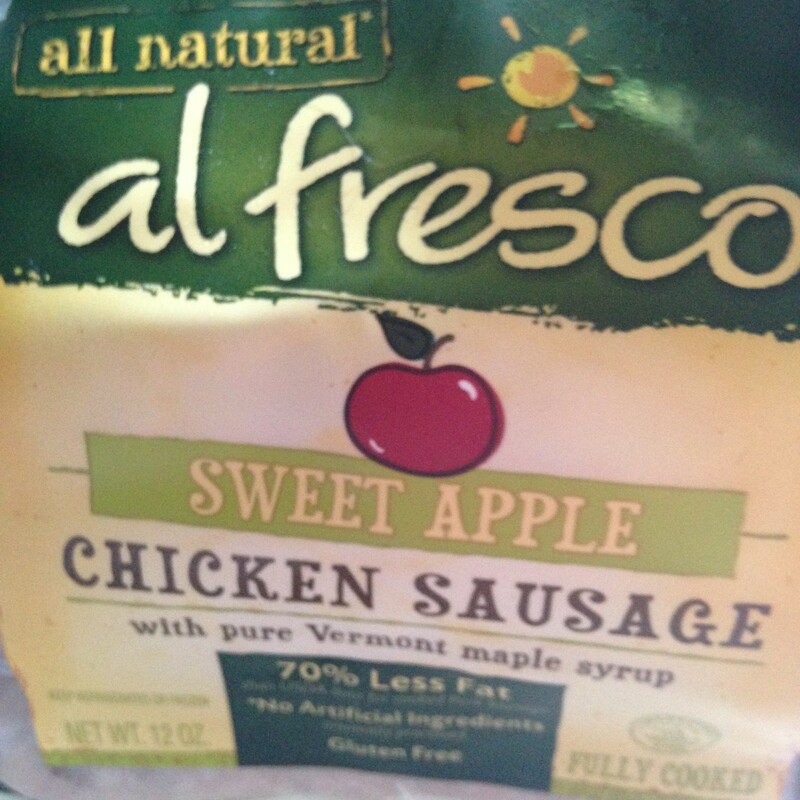 I sliced and cooked the apple chicken sausage in a little olive oil and added it to the vegetable medley. Seasonings chosen were Garlic Pepper and Pepper and Herb, two herb mixes I buy in bulk. I used spicy chili powder and a Serrano with the seeds. Go easy on these unless you totally love spicy food. 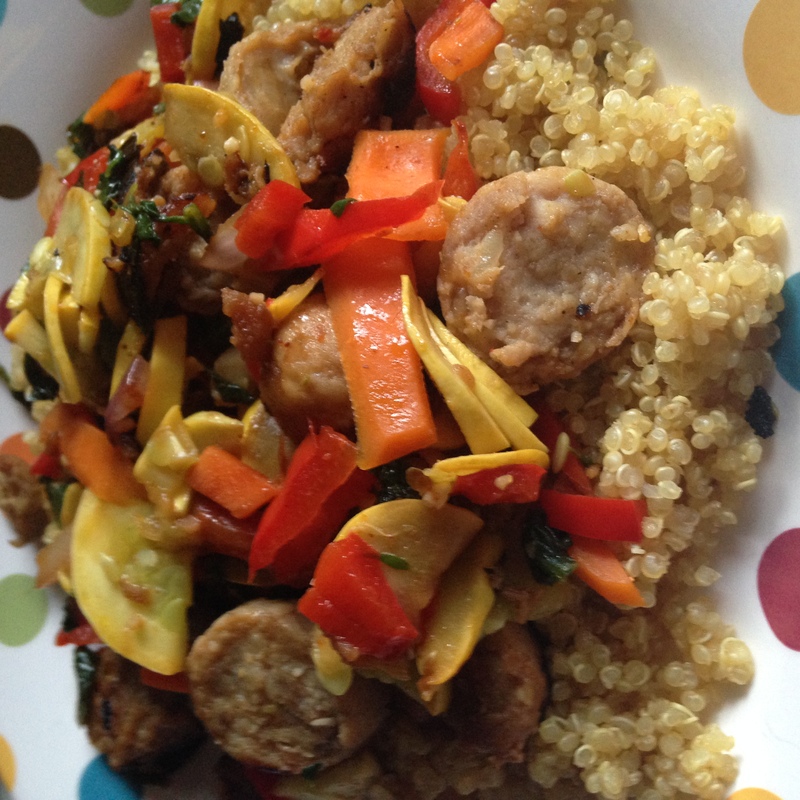 Add flavor to Quinoa by combining Sweet Apple Chicken Sausage, several vegetables, and a Serrano pepper. Boil water and chicken stock (turn burner on high). Add Quinoa to water and bring to boil again, turning burner to low. Cook Quinoa for 12 minutes. Let set for 15 minutes while you cook vegetables and sausage. Meanwhile chop and slice vegetables fine. Cut squash in quarters then slice thin. Cook vegetables in one or two tablespoons of coconut oil on a griddle. Slice chicken sausage and pan fry in a little of olive oil. Put a large spoonful of Quinoa into a bowl or on a plate. Place vegetables and sausage on top of bed of Quinoa. This looks and sounds delicious. I love quinoa if its not overcooked.